Maddening even for this mind-boggling fake news era. How could Jessica Chiccehitto Hindman spend four fraudulent years as a “fake violinist” playing in an ensemble for a “famous composer” duping audiences all across America and no one caught on the music was faked? How can that be? The Composer – never referred to by his real name – and his complicit ensemble performed and conducted at world-class concert venues such as Lincoln Center! On PBS! More intimately at countless shopping malls, and arts and craft fairs. During a “74 days, 60 cities, and 54 performances” tour after 9/11 when vigilance reigned! Incredible not a single person in the audience realized the sounds were not coming from the musicians on stage. An astonishing scam. Though musicians were really playing their instruments, the microphone was turned off, so the “most beautiful music in the world” actually came from backstage, from a $14.95 Sony CD player! Yes, all the exclamation points are warranted. Wait, it gets worse. The artistic cover-up wasn’t even synced from original compositions. The music was copied from other works, leaving out just enough notes to avoid violating copyright laws. The so-called composer couldn’t even recognize the iconic notes from Beethoven’s 5th Symphony! On nearly every page, you’ll be asking, like Hindman does: “Who is The Composer?” She never outs him. That’s not her purpose. Hers is a tell-all meant to come to terms with how she got so profoundly in over her head until she reached the breaking point when she could no longer discern reality. Engrossing as we try to absorb the implausibility of not being discovered versus the plausibility of the emotional and physical toll that “almost killed” the author. Hindman describes herself as “desperate.” One explanation is desperate financial times called for desperate actions, that by the time she’d gotten a sudden opportunity to work for the rock-star composer she’d hit fiscal rock bottom so how could she resist? Too simple. Far more insidious were complicated, deep-seated emotional struggles, psychological vulnerabilities, rooted in her formative years growing up in Appalachia. Perceiving herself as one of Dr. Mary Pipher’s Ophelia teenage girls who succumbed to female expectations, low body image, and perfectionism, she suffered a mental and physical breakdown. Running commentaries explaining herself within larger contexts – in this case societal and cultural – are thoughtful and insightful. This years-to-write memoir is dedicated “to those with average talents and above-average desires,” hinting from the get-go that’s how she’d defined herself. Note: her work effort is more like off the charts. As a young, serious girl growing up in Appalachia who needed to be taken seriously, playing a serious instrument meant everything. No one will “laugh at you when you’re playing the violin.” A work ethic born out of what’s “most revered by the adults around her . . . Work is in the Appalachian air you breathe.” All the practice and hardships that went into earning early recognition as a “reeyl star” put so much extra pressure on wanting to be “valued in the world.” Years later, when her impossible dream seems to have come true – playing big-time for real yet never being heard – her sense of self, her value comes into serious jeopardy, precipitating crisis. 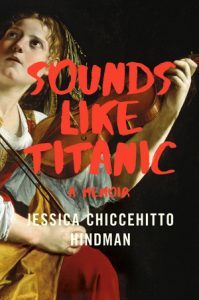 Which is another reason Sounds Like Titanic is unlike anything I’ve read as the only way Hindman found she could tell large portions of her story was to distance herself from painful truths, using the least common narrative point-of-view: the 2nd person. Not the easiest literary approach to pull off successfully, which she does. Mountain metaphors are everywhere. Growing up in Appalachia meant her parents had to literally climb mountains driving hours to find (and pay) someone to teach their striving daughter the violin. Better off than most, this was still a financial sacrifice. Drawn to “sinister music” at a young age, the author sensed “the connection between the music and the mountain fog.” Music she equated to “childhood sadness,” to Holocaust music evoking Anne Frank’s tragic story. Complex, ominous sounds. Whereas The Composer’s instrumental music is easier and uplifting. Its most distinctive feature is the high-pitched “pennywhistle” sounds of the flute, likened to Celtic and Native American music. 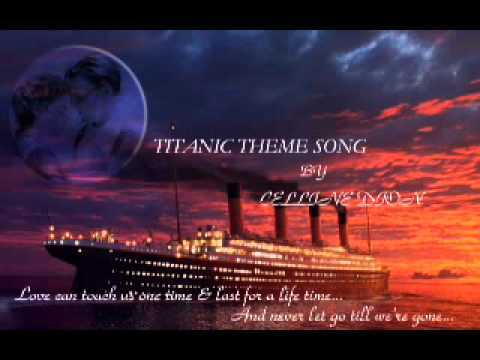 Music echoing the soundtrack of the movie Titanic – hence the memoir’s title. So when Hindman arrived in Manhattan to attend Columbia University she’s already carrying heavy emotional baggage. Add to that endless economic angst to supplement her music scholarship, depleting the money her family managed to save up and the limits of egg-donorship. That’s when the author gets entangled with The Composer. After graduation, she relentlessly sought other jobs, hitting dead-ends and rejections, so she stayed on and on with him. Now really on her own, she went through hoops to find a dirt cheap apartment in a ridiculously expensive rental market. Survival, unless she quit. Jessica Hindman is definitely not a quitter. More musicians perform on stage and work behind the scenes to produce the pirated CDs that garner big bucks. The Composer donates to charities and PBS, of course, but his con-artistry is impossible to condone no matter what his real motive(s). Pursuing an Ivy League education was also eye-opening. Discovering an elite moneyed class full of privileges and stereotypes toward people from the South, prejudices strongly influenced the author’s academic path. The Iraq War was raging, so she fixated on a second major – Middle Eastern studies – aspiring to become a war correspondent. Writing evidently also an interest, except now the workaholic is juggling two uphill, demanding careers. Both seem vastly different but Hindman identifies a disturbing commonality – “ignorance” – ignorant musical audiences and ignorance about the Middle East. Today Jessica Hindman is a bona fide professor of creative writing at Northern Kentucky University. We’re heartened she climbed her personal mountains to get there.